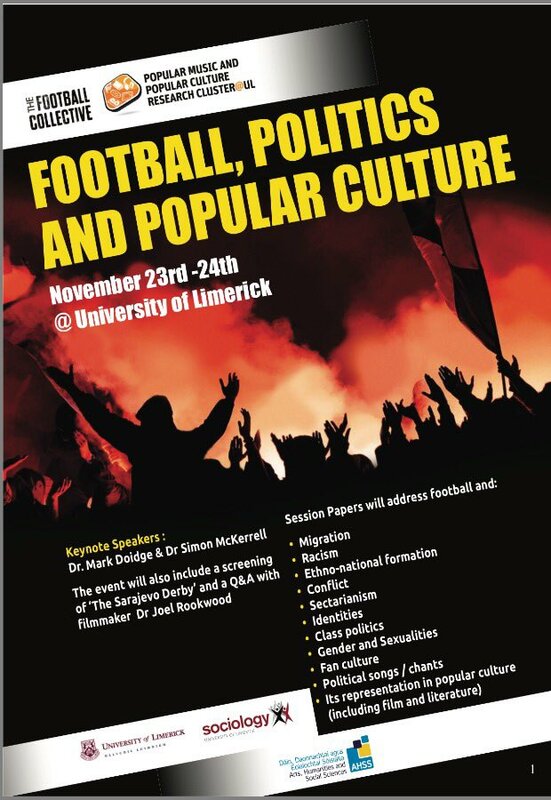 It has been almost a month since the 2nd Annual Football Collective Conference: Football, Politics and Popular Culture at the University of Limerick, 2017. As we bring the year to a close we would like to offer a brief insight into some highlights and some information to follow-up. First and foremost we want to offer our formal recognition and appreciation to this years worthy custodians, of The Football Collective conference, Dr James Carr, Dr Martin Power and Dr Stephen Millar of the University of Limerick. Everyone who attended will know and appreciate the outstanding collegiate effort put into create a very supportive environment. That was both, incredibly well-organised and tremendous value for money – for all involved – including guests travelling from as far as South America, Australia and Switzerland! 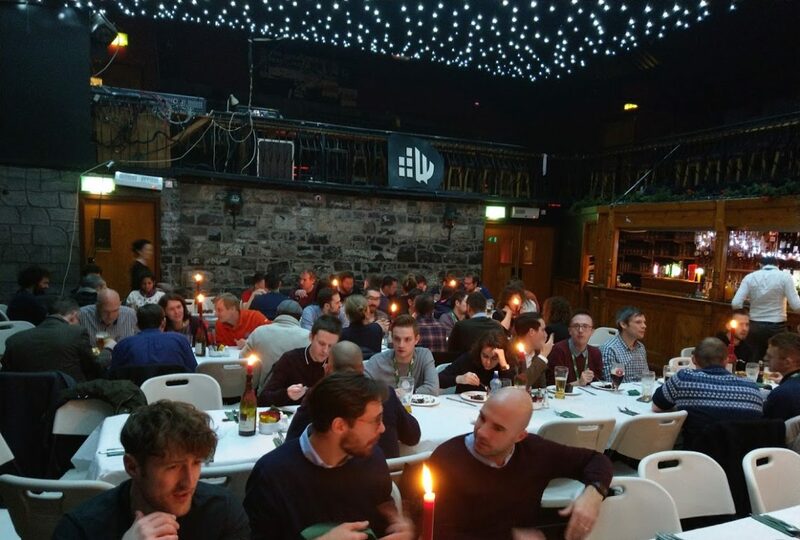 The event surpassed anything we could have imagined and we are truly grateful for James, Martin and Stephen’s tireless work making such a memorable event and memories for all who attended. It was no surprise that this work was recognised by Fáilte Ireland. We also want to thank all sponsors, supporters and the University of Limerick for their incredible support, in the spirit of the The Football Collective. Dr Simon McKerrell and Dr Mark Doidge offered fascinating insights and created an intensity in respect to their work to create discussion and reflections carrying on into the evenings (and beyond). We hope to stream these on YouTube or at least insights in the early 2018. We are extremely grateful for their time, insight, expertise and support. One key value of The Football Collective is supportive, relaxed environments, whereby critical discussion can take place and members can build genuine relationships into the future. Dolans Pub provided an incredible location, service, food and beverage. We were delighted to welcome Zora Saskova to The Football Collective, with her colleagues from Ulster University. Zora, a PhD student at the beginning of her journey was able to present her research at the conference and build upon her already extensive network of support at Ulster, in football and academia. More about Zora’s research and the award can be found here. Thank you again to Taylor and Francis / Routledge: @tandfsport for your continued support for The Football Collective. There were a fascinating array of research from different disciplines from labour issues, to songs, to hooliganism, to football agents and intermediaries. We would like to encourage all conference participants to submit a brief article on their research and presentation. You have creative freedom and can submit using the information here. On top of this we would like to remind academics with ideas for monograph book proposals to consider our new book series Critical Research in Football with Routledge. All proposal ideas can be discussed with Dr Peter Millward. We would encourage others to invite new members who are active or interested in football research and that you think would benefit from being part of a collegiate network of support online and through events. The conference location for 2018 is in progressed discussions. We will hopefully announce this early in 2018. Before we share the final social media details from the conference, we would like to wish everyone a fantastic time with friends and family over the festive period. And a rather dubious compilation video ! !